The City Council needs to improve the way it works with local residents, if it is to tap into the potential they can offer in finding solutions to localised problems like litter, says a new report based on experiences in Wingrove. “High levels of street litter and environmental degradation may reflect a lack of pride” in the area people live, says the report, written by local Newcastle University academic David Webb. “If people feel alienated by the provision of services to them”, he says, “then they may feel a lack of attachment to place and environment and this may be reflected in a carelessness towards it”. Written before the recent introduction of ‘communal bins’, the report says casual street littering is only one of the causes of the large amount of waste on the streets and back lanes. Inadequate bin provision, complaints to the Council about litter not being acted on, lack of awareness of household recycling centres, a lack of car ownership, charges for bulky waste collections, an increase in takeaways and even inability to use the internet; all played a part in contributing to the amount of waste on streets in the area. A minority of local businesses and absentee landlords are fingered as key sources of litter, and the report notes that new tenants are often left to deal with waste left by outgoing residents, with no advice or funding to help them do this. Flytipping was identified by locals as another source. Young people from the Slovak community attending the area’s CHAT Trust, also took part in the research, exploring the potential for ‘behaviour change’ in tackling the run-down appearance of the area. 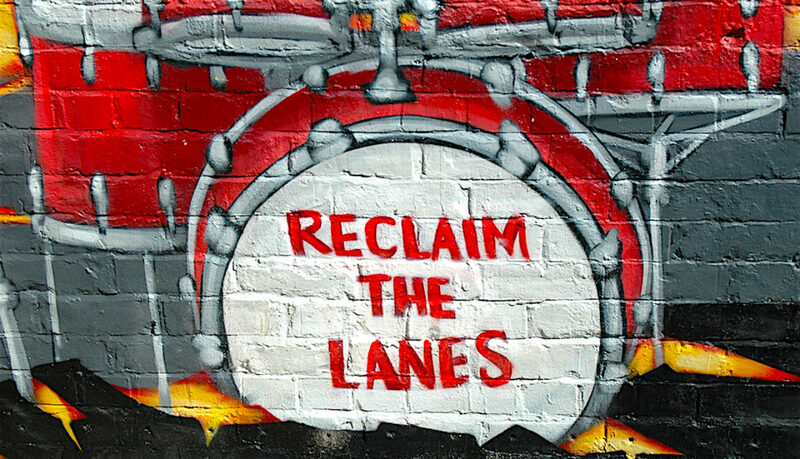 A ‘reclaim the lanes’ project involved them in looking at back lanes as places of recreation and socialising, “rather than left over spaces used for little other than waste management”. Through the project, young people created murals, made music, got involved in street litter cleans, removed graffiti, held back lane events and contributed to re-designing part of the back lane by the CHAT Trust building on Philip Street. It also led to children discussing issues with their parents, which in turn led to “valuable” information being collected “about how people are used to dealing with waste, their misunderstandings of the expectations of systems in Newcastle and their views about how to improve these”. Volunteer litter picks, which could be seen as a “sticking plaster” solution, also played “an important part in generating community action”. It is these types of community initiatives, argues David Webb, that the City Council should be tapping into. He concludes, that if the City Council is to succeed in its ambition of becoming a ‘co-operative council’ and find new ways of passing on responsibility to community organisations for problems like litter, then it must be continuously talking and listening to people in the community who have ideas, and find new ways of making use of the information local people have.